DAVIE, Fla. (AP) — Two people with knowledge of the situation say the NFL is looking into how the Miami Dolphins reported quarterback Ryan Tannehill shoulder problem on injury reports last week. The people confirmed the NFL’s interest in the matter to The Associated Press on condition of anonymity Wednesday because the league wasn’t commenting. It’s common for the league to look into such situations involving a prominent player. The league is expected to contact the Dolphins to understand the details and make sure the injury report policy was followed. Tannehill sat out Sunday’s overtime win against the Chicago Bears, and replacement Brock Osweiler threw for a career-high 380 yards. 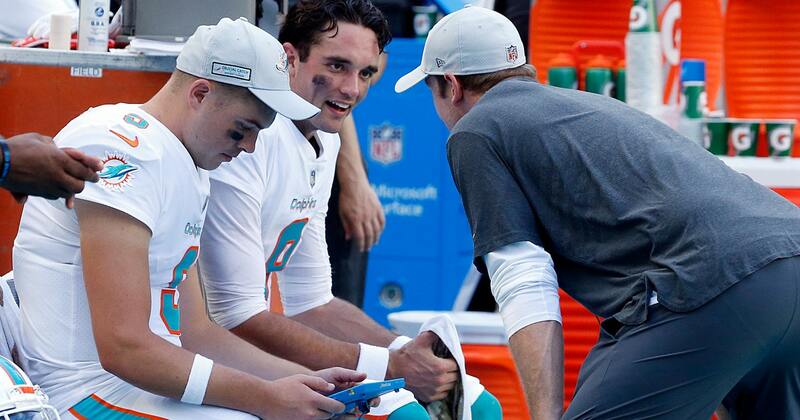 Coach Adam Gase has said the condition in Tannehill’s throwing shoulder worsened as last week progressed. Osweiler took “maybe a few reps” in Thursday’s practice, Gase said, but the injury report said Tannehill participated fully in the workout.